After losing the first Test against England, the Indian team has a lot to ponder before heading into their second match of the series. A major reason for Indian cricket team's defeat was the failure of the Indian batsmen. If it was not for Virat Kohli's miraculous efforts, India would have been beaten quite comprehensively. While all the batsmen, except for the brilliant Kohli, struggled to get going, it was the openers who failed to provide a solid start in both the innings. Shikhar Dhawan and Murali Vijay played loose shots which led to their downfall. The other batsmen found it difficult to recover from the bad start and were thus unable to play their natural game under the excess pressure they were under, having lost two wickets so soon. This has been a recurring problem for some time now. The Indian openers' failure to perform in overseas conditions has made life difficult for the other batsmen. There haven't been meaningful contributions from the openers, and the selectors and team management should take a call on the current openers' future in the team. It is not as if there aren't other options available. Players have performed well in the domestic tournaments and India A tours and it is high time that new opening batsmen are groomed. Here, we look at three such openers who should be considered for the opening batsmen's spot in the Indian Test team. Faiz Fazal has been putting up some impressive performances in the domestic circuit in the last few years. 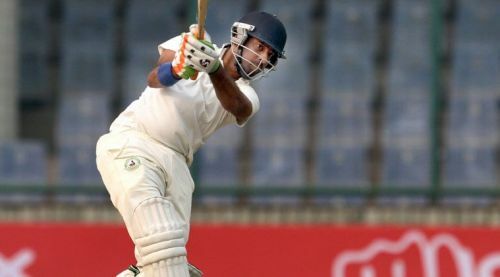 The elegant left-hand batsmen played some spectacular innings for Vidarbha in the 2017-18 Ranji season and scored 912 runs at an outstanding average of 70.15. He also scored five hundred's with 206 being his highest score in the season. Fazal was the captain of Vidarbha and was instrumental in his team's historic title victory. 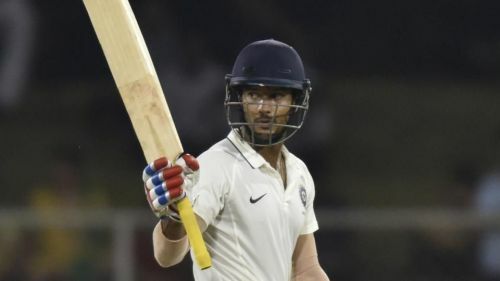 Even though he is 32 years old, his tight technique and calm demeanour might be the need of the hour for the Indian Test team. Should Prithvi Shaw start opening for India in tests?